Falvey Memorial Library :: You asked and we listened! 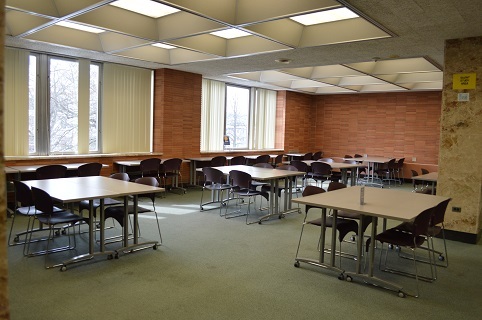 Over the years, Falvey has received many requests for additional quiet study space in the building. In response to this request, some work was recently completed to make room for seven extra tables to be added to the third floor. We hope that this seating will help to accommodate more students, especially during peak study times when the seating is in high demand. 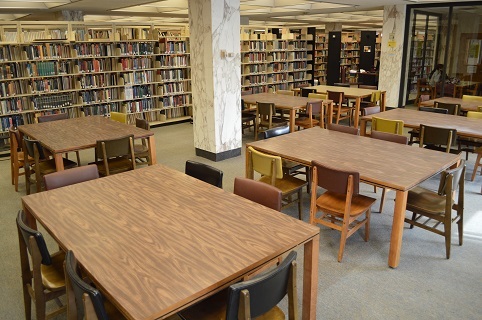 In addition, if you visit the Library’s fourth floor, you will notice that we’ve permanently set-up new multi-purpose furniture in the Quiet Zone area. The feedback we received from the Villanova Community about the space was in support of this change. Both quiet study areas on the third and fourth floors have big bright windows that feature a lovely view of our campus. We hope these updated Falvey nooks will inspire you in the run up to finals, Nova Nation!